The future of retail may be about bringing the shopping experience to the customer. From c-stores to restaurants to fashion boutiques, everyday brings a new story about another successful retail pop-up. This strategy has quickly gained momentum as a profitable way for retailers to strengthen their brands and set themselves apart. Enter a new market. 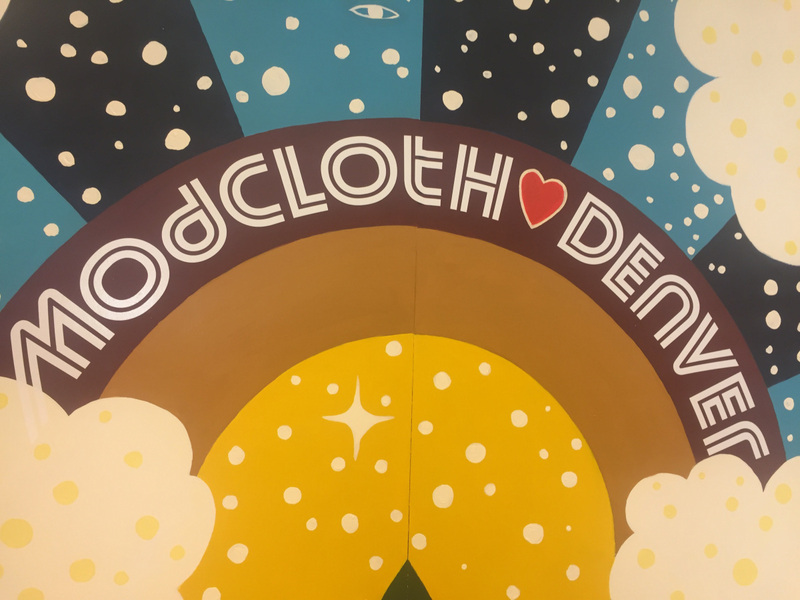 ModCloth’s IRL (In Real Life) Tour included summer pop-ups in D.C., Portland and Denver. Each pop-up features “unique indie and vintage-inspired styles” for customers to “see, touch and try on.” They created a festive event atmosphere with concerts from local musicians and free consultations with stylists. Try a new merch strategy.com is using pop-ups to showcase brands that have paid a fee to be their partner in physical retail. So far, they have agreements with Clarks, Guess and LEF Industries. In essence, they are acting like a department store, using revenue from these brands to pay for a portion of their real estate but on a temporary basis. Transition to permanent physical retail. Warby Parker used pop-ups to see if they were ready for a store. First, they repurposed an old yellow school bus into a touring pop-up nicknamed The Warby Parker Class Trip that traveled to 16 cities. Then, they added the Warby Parker Holiday Spectacle, a Manhattan pop-up. “We tested brick and mortar for months… (Those) gave us the confidence to sign our first lease and build out a proper store in New York,” said Neil Blumenthal, founder and co-CEO. Introduce yourself to the fashion world. A new phenomenon taking place is celebrity/musicians using pop-up shops to sell high-end, exclusive fashion. Drake, Kanye West, Pearl Jam, Morrissey and Guns N Roses all set up pop-ups recently outside of their concert venues. Before, bands used to sell concert t-shirts, well, at concerts. Now, Guns N Roses sells John Varvatos-designed tees and custom leather jackets at a pop-up. Justin Bieber had a pop-up inside Barneys New York with $195 tees. Kanye West’s pop-up in March drew huge lines and sold through a half-million dollars’ worth of clothes in three days. It was so successful that he did it again in August with 21 pop-ups around the globe for one weekend only. 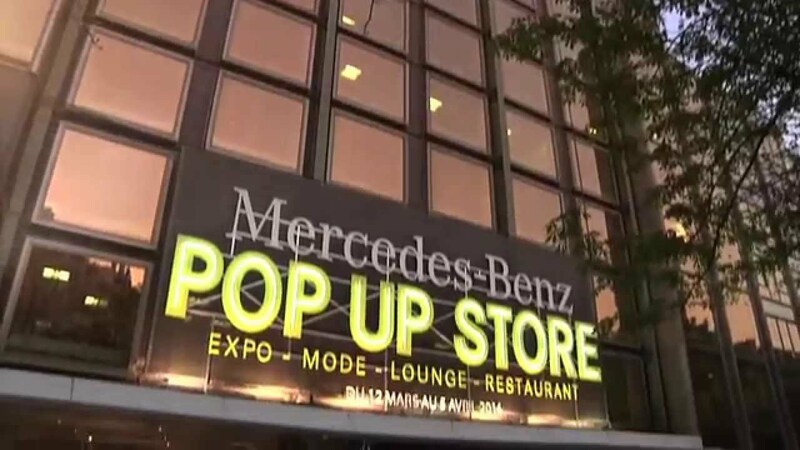 How can a pop-up expand your brand? Create a temporary stand-alone shop for an event, such as a festival. This is probably what most of us think about when we think of pop-ups. 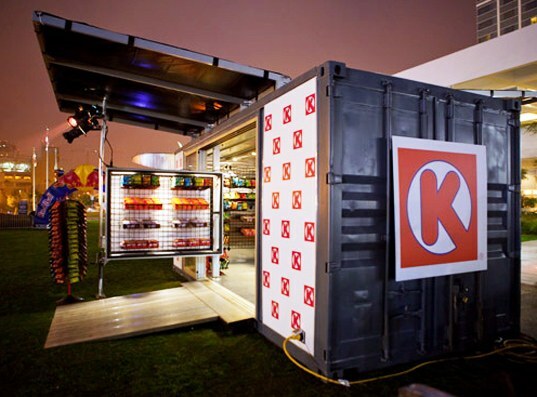 Shown is a shipping container that Circle K has used in Europe that’s convenient for taking to events. Co-brand your brick-and-mortar for an exclusive in-store event. Nordstrom does this frequently and calls them “pop-in” shops. Their partnerships have included Tesla, Alexander Wang, Converse and more. 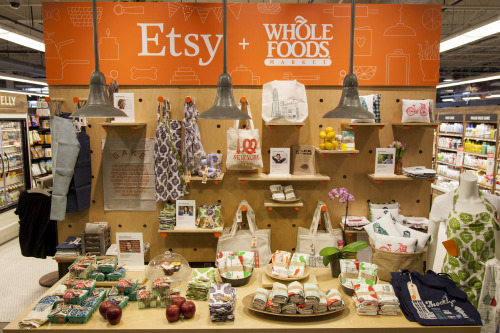 Other examples include an Etsy shop within Whole Foods (below) and the “Scare at Herald Square” – the Grandin Road Halloween vignettes inside Macy’s. Take over a vacant retail storefront temporarily. You’ll find lots of support from city councils and downtown coalitions who are excited about bringing life, albeit temporarily, to vacant spaces. Want more great ideas? Contact us today!